Last night, I went to book group, which is hosted by our town’s library and run by the inimitable Shane Billings, the Adult Services Librarian. He started the book group over five years ago, and I’ve been with it since the beginning, with a few breaks here and there. 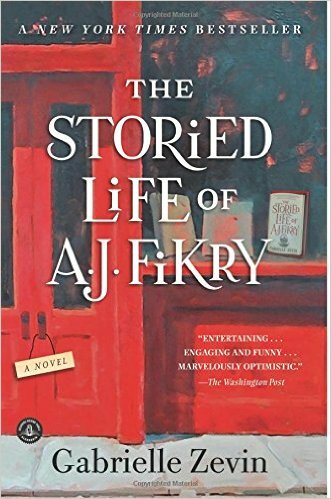 This month’s book was The Storied Life of A. J. Fikry by Gabrielle Zevin. Here are the basics of the story: A young but cranky man, A. J. Fikry, runs a bookstore on Alice, a fictitious island off the coast of Massachusetts. When the story opens, A. J.’s wife has recently died in a car accident, and the grieving A. J. plans to drink himself to death. His suicidal plans are interrupted by Maya, an abandoned two year old who is left in his bookstore. A.J.’s love for Maya—and hers for him—gives his life meaning. (And, yes, there is more than a little similarity between this story and Silas Marner.) From there the story sweeps out to include Lambiase, a kindly police officer; A.j.’s dodgy sister-in-law, Ismay—how can she help being dodgy with a name like that? ; and Amy, a dedicated bookseller from the mainland. 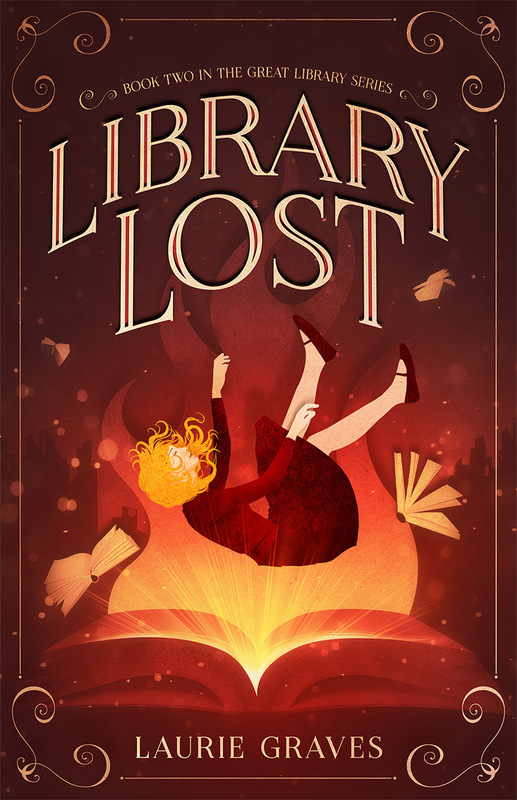 There isn’t much of a plot—more a sweep of years, handled beautifully—spiced with the theft of a rare manuscript and another car crash that might or might not be murder. Finally, and perhaps best of all, there is the love of books that thrums through the story and connects the characters. As was noted at book group, this is a sentimental story, but it is redeemed, to a large extent, by Zevin’s fine writing. In short, it is a sentimental tale told well. There was a lively discussion about Ismay, the dodgy sister-in-law. Most of the members of the book group—composed mainly of older women—felt sympathy for Ismay, but the one young man who comes loathed her character. He didn’t see that Ismay had any redeeming qualities. Certainly, this point of view, while a little harsh, could be defended, and indeed in the book, young Maya doesn’t much like Ismay either. One of the great things about our book group—Title Waves, it’s called—is that by and large, for over an hour, we discuss the book and nothing else. There is little chit-chat about personal matters, and we take the books and the discussions very seriously. After all, we are people who love books. At the same time, we are able to laugh and joke about our disagreements. There are some, like me, who have been there since the beginning, and there are many newcomers, too. All are welcome. Yes, we do, and it is this attitude, along with the books, that has kept me coming to book group for over five years. Mary, I wish you could join us, too. Wow! Two book groups. And at one time three. Yes, the gatherings and discussions are just great. They meet at varied lengths of time so it isn’t a lot. One meets every 2 wks and we read spiritual types of books out loud and discuss it as we go along, so no work there. The other meets every 5-6 wks. with an average sized novel, so that’s doable. The one that I let go met every 3-4 wks. It was only problematic when the meetings clustered together in the same week! I love to read certain kinds of books at bedtime – and this book sounds like one I could add to my list. Maybe I shouldn’t admit this, but I am okay with a little sentimentality evry now and then. 😉 Thanks for sharing. I’ve been meaning to read this book for some time now – your review makes me want to bump it up on my reading list! It’s wonderful that you’ve found a great book group to share your love of reading with. Yes, I feel very fortunate to be part of this book group. Hope you enjoy “The Storied Life of A. J. Fikry” as much as I did. I never thought that I was a book-group type. I’ve been an avid reader all my life, but always viewed reading as a solitary pleasure. At my neighbor’s urging, however, I joined our library book group when I moved to Maine. At the first meeting, I was the only one who didn’t like the book and was afraid they would throw me out! I’m still there and thoroughly enjoying it.